Showing 147,401 - 147,420 of 147,425 results. A video of Si and Gary (Simon Barnett and Gary McCormick) from MORE FM promoting the Five Ways to Wellbeing. In this video they talk about the importance of giving, and suggest ways to give. The closing frames read, "When did you last share a little love? The simple things we do often mean the most. For more tips on what makes us feel good, visit allright.org.nz." A scanned copy of a black and white photograph belonging to University of Canterbury alumnus Colin Lau. 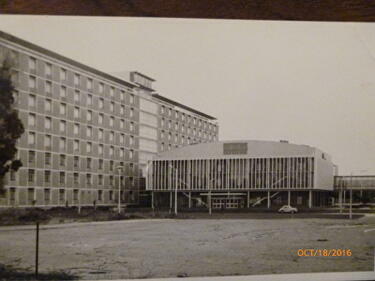 Colin describes the photograph as follows: "Our science building (where I got my physics degree in 1972) on the left, lecture hall in the middle and engineering school to the right & behind the lecture hall". A video of Si and Gary (Simon Barnett and Gary McCormick) from MORE FM promoting the Five Ways to Wellbeing. In this video they talk about the importance of connecting with others, and suggest ways to connect. The closing frame reads, "Connecting with others can be the best medicine. For more tips on what makes us feel good, visit allright.org.nz." A video of Si and Gary (Simon Barnett and Gary McCormick) from MoreFM promoting the Five Ways to Wellbeing. 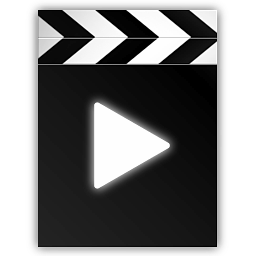 In this video they talk about the importance of being active, and suggest ways to be active. The closing frames read, "Exercise is a proven pick-me-up. When did you last get your sweat on?" A PDF copy of a personalised Hidden Strengths certificate from the All Right? website. The certificate reads, "Amy's Top Strengths! Creativity, Kindness, Apprec. Of Beauty & Excellence," and provides descriptions of each of these. A photograph of Donna from St Albans standing next to an All Right? advertisement in a Adshel bus stop with her quote on it. The poster reads "What makes us feel all right? 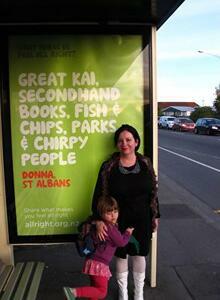 Great kai, secondhand books, fish & chips, parks & chirpy people". A photograph of 'All Righties' with cabaret artist Lisa Lottie. 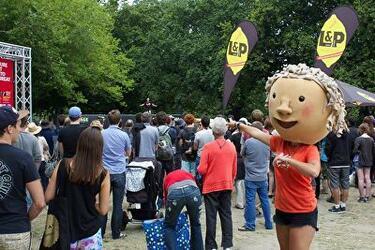 The photograph was taken in front of the L&P stage at the 2014 SCIRT World Buskers Festival in Hagley Park. 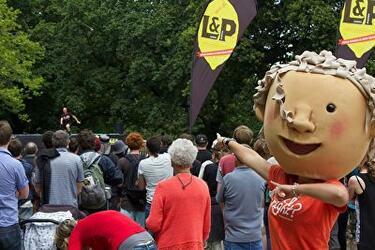 A photograph of an 'All Rightie' pointing to a performer on the L&P Stage at the 2014 SCIRT World Buskers Festival in Hagley Park. A photograph of an All Right? 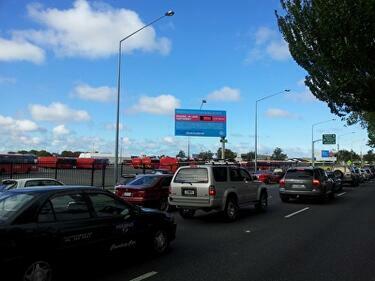 billboard on Moorhouse Avenue. The billboard reads, "Reasons we love Canterbury: 9999 x lots and lots. Share what makes you feel All Right: fb.com/alrightnz". The background of the billboard includes various responses by Canterbury residents. A scanned copy of a black and white photograph belonging to University of Canterbury alumnus Colin Lau. 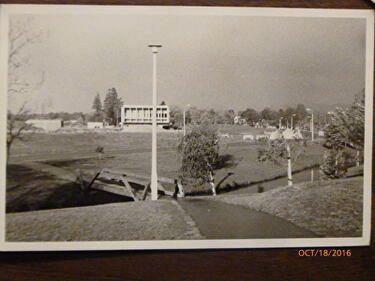 Colin describes the photograph as follows: "A view from UCSA towards the (right side of our) Science Building. I am not sure what that target white building behind the lamp standard is. I still remember that little wooden bridge we walked across to the UCSA building & that meandering creek or stream that flows beneath it". A photograph of an 'All Rightie' pointing to a performer perform on the L&P Stage at the 2014 SCIRT World Buskers Festival in Hagley Park. 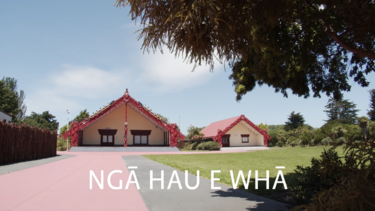 The story of the city’s urban marae, Ngā Hau e Whā, built from 1981 onwards, begins in the migration of Māori from their tūrangawaewae to cities. 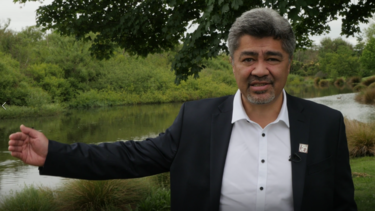 The marae project is linked to a desire among city elders to move Māori out of the city centre to the east. Claimed as a fishing reserve by the Tuahiwi chief Te Aika but sold by government, this area used to have eel weirs and eel drying. 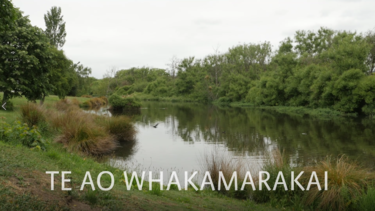 The land within the horseshoe lake also contains an urupā (cemetery). 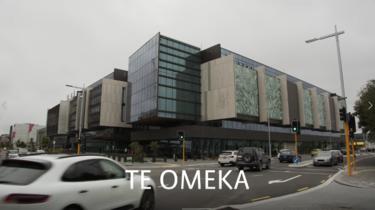 The name Omeka for the Justice Precinct comes from the Biblical omega. Dating back to the prophecy of Ratana early last century, it is testimony to Ngāi Tahu’s faith that their claims for justice would be settled. Puari is a longstanding fishing area for Ngāi Tūāhuriri. It was claimed by chief Pita Te Hori for the hapū in 1868 but denied by the Crown, because the land had been allocated to settlers. This site is now owned by Ngāi Tahu and a building named after Te Hori stands here.